Apple has placed a straight-to-series order for "Swagger," a drama series based on the early life of NBA All-Star Kevin Durant, according to Variety. The series was put into development back in February. 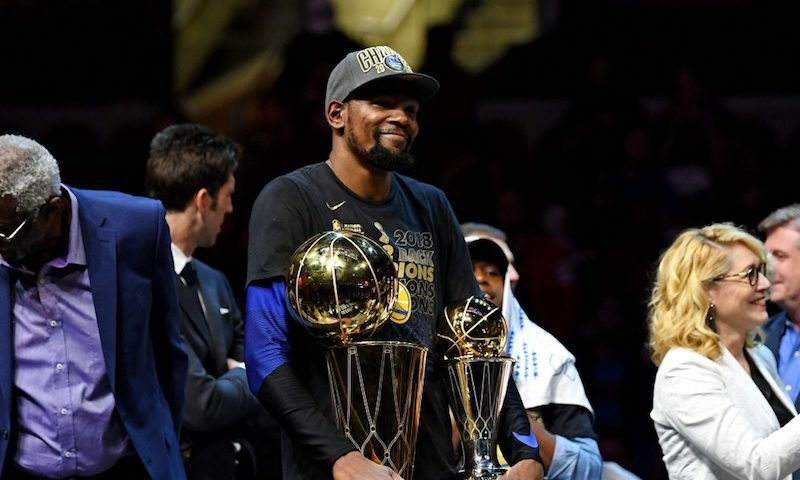 The series, produced by Durant's Thirty Five Ventures, Imagine Television, and CBS Television Studios, is said to be inspired by Durant's youth basketball experiences. It reportedly explores the world of amateur basketball in the Washington, D.C. area, including players, their families, and coaches. "Swagger" is said to "walk the fine line between dreams and ambition, and opportunism and corruption." Reggie Rock Bythewood will reportedly serve as writer, director, executive producer, and showrunner. Durant is a two-time NBA champion with his current Golden State Warriors team, a nine-time NBA All-Star, and was the NBA's Most Valuable Player in 2014 and Rookie of the Year in 2008. He is also a two-time gold medal winner in men's basketball at the 2012 and 2016 Summer Olympic Games. "Swagger" will be one of well over a dozen original TV series and movies that will be distributed through Apple's widely expected streaming video service, which will reportedly launch in more than 100 countries in 2019. A full list of Apple's planned TV shows and movies is available in our Apple TV roundup. All of Apple's show purchases sound like things Netflix passed on! That's saying a lot cuz Netflix will buy anything! Who cares about the life of athletes? Apple going full speed down the road to irrelevance. Sorry, no. You're confusing NBA advertising with reality. Well if you are a fan of the NBA then you will know him. I have never heard of him since like most people in Germany we don't care for basketball. I can hardly name you two NBA teams. Maybe three if you give me a minute. Most germans will not be able to name you one NBA team or player though. Does Apple release any genres I’m interested in? Thrillers like the Sinner, Ozark, etc. Yeah, it seems like this whole venture is designed to fail from the beginning.